This course takes an in depth view of how to properly bring in an associate and protect your patient base, how to plan for either a partial sale or a full transition of your dental practice. In an effort to educate the individual dentist on the business side of being a dentist. The course begins with dissecting the associate position and reviews the differences between employee vs. independent contractor, compensation structures and the impact on the associate’s pay, California law pertaining to associates, issues to be concerned with in an associate contract, associate buy-in opportunities as well as other relevant issues. The course then reviews dental partnerships: how they are created, proper vs. improper models, CA regulations pertaining to partnerships, compensation formulas that work/don’t work, buy-in/out formulas, death/disability issues, management concerns, and other unique partnership issues. The final phase of the course takes an in depth view of selling your existing dental practice: the importance of the lease and the various provisions which can destroy the value of your dental practice, the buy/sell agreement, restrictive covenants, redo work, uncompleted dental work, collection of accounts receivable, representations and warranties as well as numerous other issues that can have a significant impact on the individual dentist. legal needs. He has authored many articles relative to the business side of dentistry which have appeared in Dental Economics, CDA Journal, The New Dentist, Colorado Dental Association Journal, Matsco’s: Strategies For Success as well as numerous dental society newsletters. 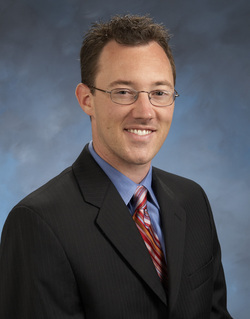 Prior to joining Wood & Delgado, Jason worked in Washington, D.C. in connection with Presidential and U.S. Congressional campaigns and thereafter he worked for the U.S. House of Representatives, drafting legislation for various House committees.